Moroccanoil® Volumizing Mousse is a styling mousse that builds body and provides flexible hold. Its 'weightless' formula creates natural styles with lift and movement, without leaving residue. Shake can well. 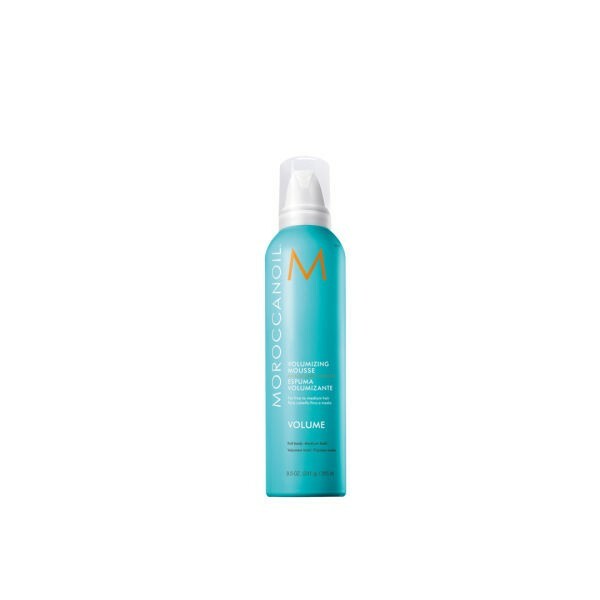 Invert can and apply a palm-sized amount of Moroccanoil® Volumizing Mousse on towel-dried hair, combing fingers through. Blow-dry with a round brush starting at the roots.